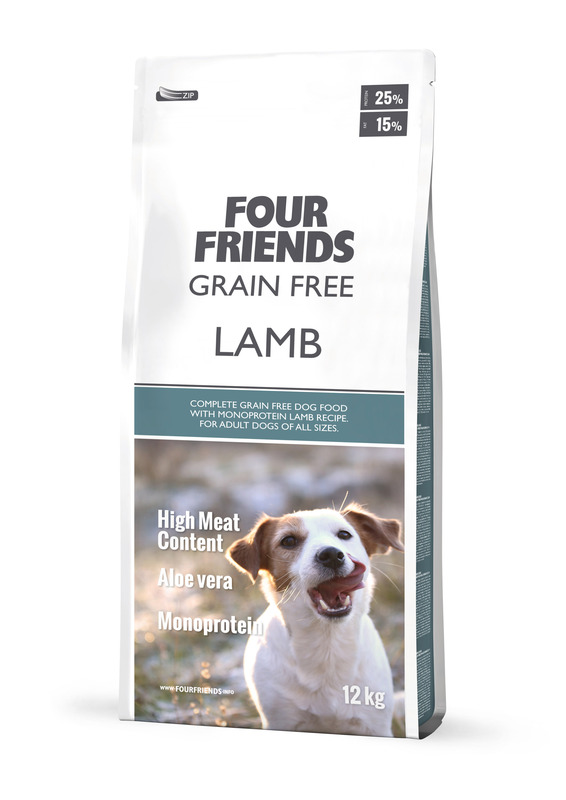 FourFriends Grain Free Lamb is a mono protein recipe. It is totally gluten and grain free. With pure dried lamb meat and potato flakes as the sole carbohydrate source. 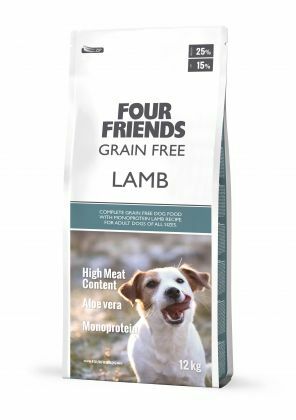 Lamb meat has always been considered a mild source of protein, making this super premium food especially suitable for those adult dogs with sensitive stomachs. Lamb meat meal 28%, potato flakes, peas, protein chicken fat (preserved with mixed Tocopherols), dried apples,pea protein, brewer´s yeast, hydrolyzed poultry liver, salmon oil, aloe vera (1,5 g/kg), fruit & herbal extract, mannan-oligosaccharides, fructo-oligosaccharides, yucca schidigera extract, green lipped mussels, blueberries.